In January 1865 General William Tecumseh Sherman leads his army of sixty thousand veteran soldiers across the Savannah River and enters South Carolina to begin a march through the state most Northerners viewed as the great instigator of the Civil War. 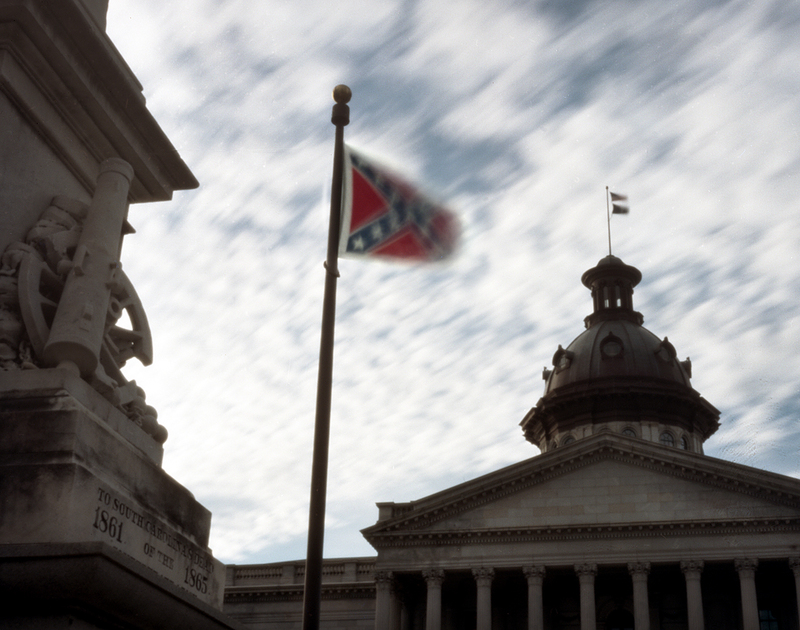 Sherman’s troops had it in their minds that South Carolina would now feel the wrath of what it had sown four years earlier when it was the first of the southern states to secede from the Union. 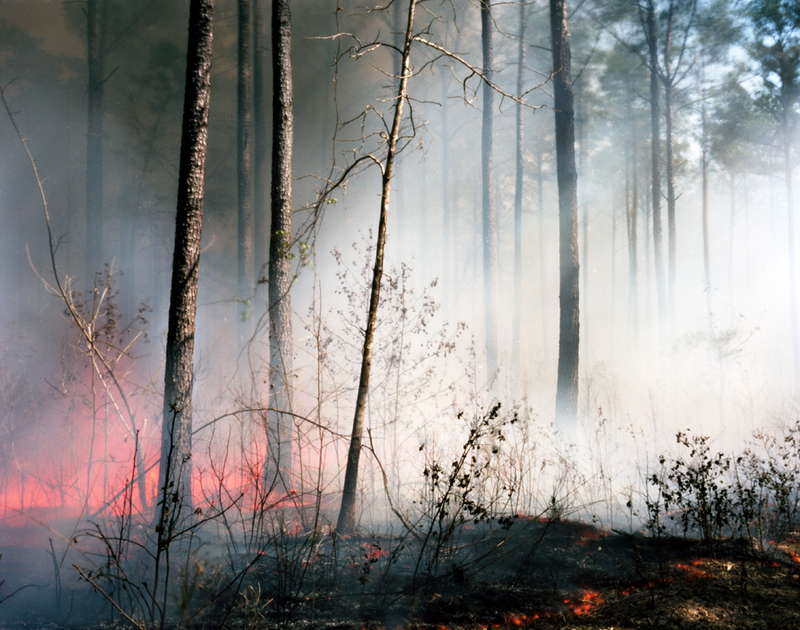 The destruction that had occurred during their march through Georgia, the soldiers promised, would be nothing compared to what they had in-store for the Palmetto State. “My aim then was to whip the rebels, to humble their pride, to follow them to their inmost recesses, and make them fear and dread us. ‘Fear of the Lord is the beginning of wisdom.” Sherman wrote. The 420 mile journey through the Carolinas would be longer than Sherman’s recently completed March to the Sea and fraught with more logistical difficulties. 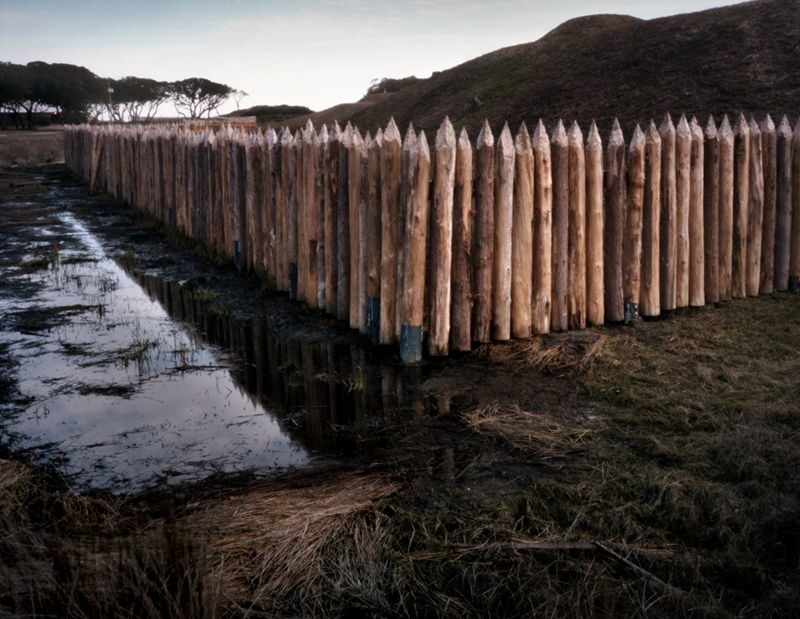 The winter rains had swollen the many rivers his troops would need to cross along the way. 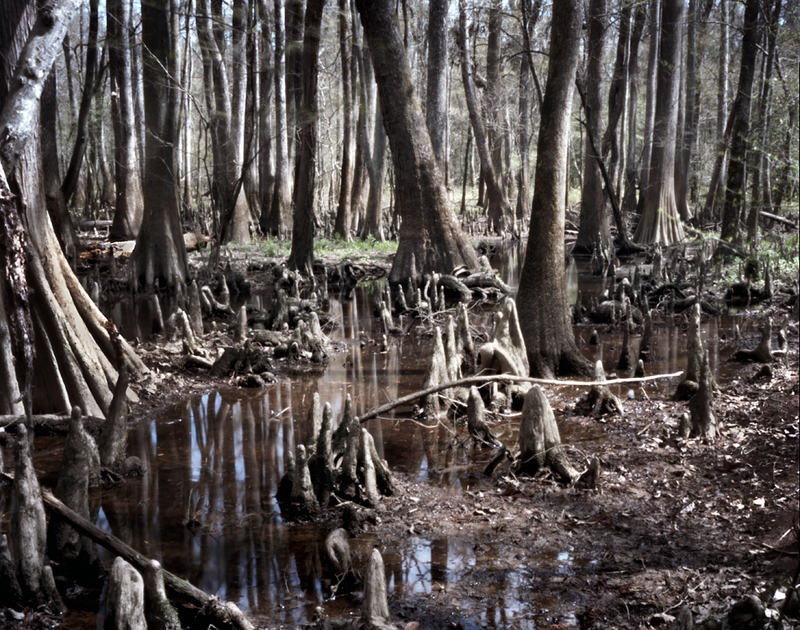 Everything considered, marching his army through the lowlands of South Carolina and its’ notorious swamps was going to make his recent excursion through Georgia look like a Boy Scout outing. Arriving at Charleston, South Carolina in March of 2015 I hoped to explore much of the ground covered by Sherman’s troops in 1865. Drive fifteen minutes, a days’ march, outside Charleston and you are along the Ashley River in the midst of the old antebellum south. Some of the wealthiest plantations in America were founded here in late 18th and early 19th centuries. 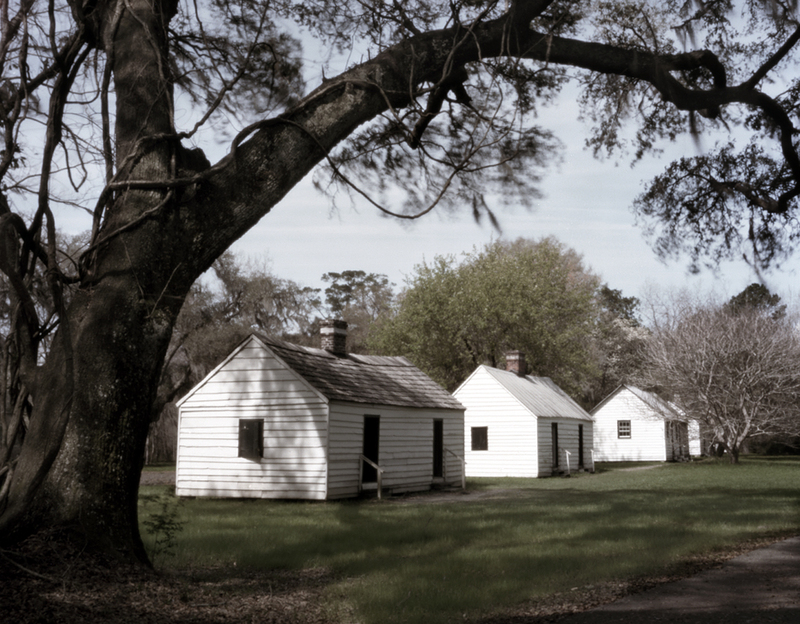 Viewed as symbols of southern aristocracy and the institution of slavery these rich plantations were targeted by Union troops while on the march in the late stages of the Civil War. 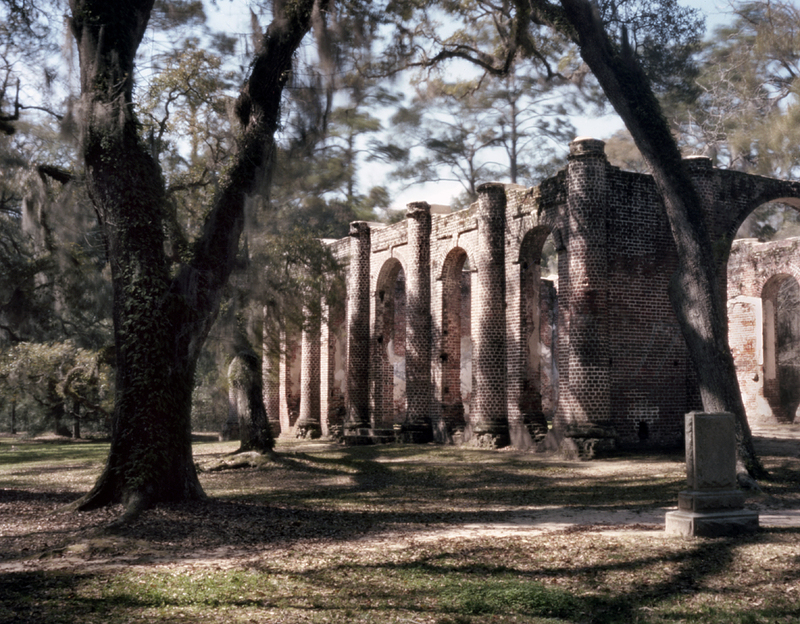 Along the Ashley River one plantation manor survived the burning in 1865. 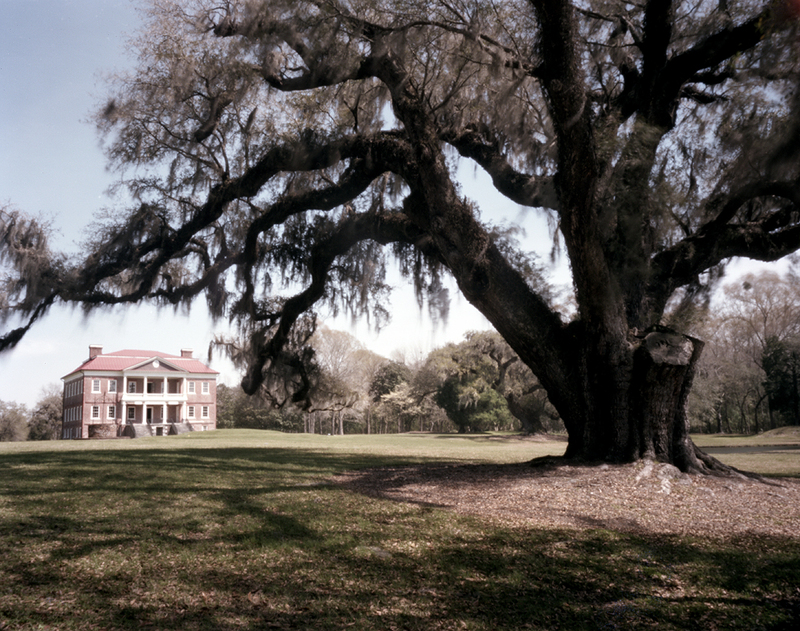 Drayton Hall, now open to the public, is a preserved 18th century plantation with its original surviving manor house. 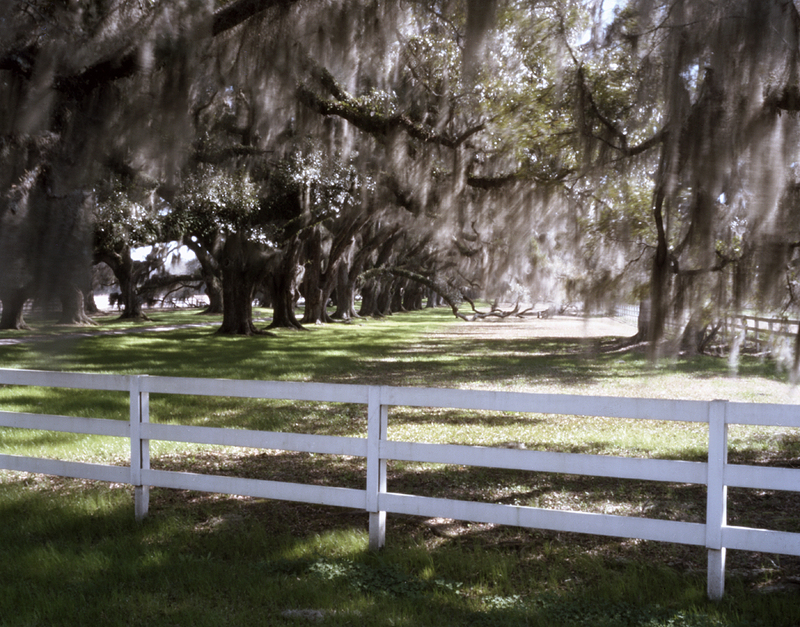 Neighboring Magnolia Plantation is known for its luxurious gardens opened to the paying public in the years after the Civil War. 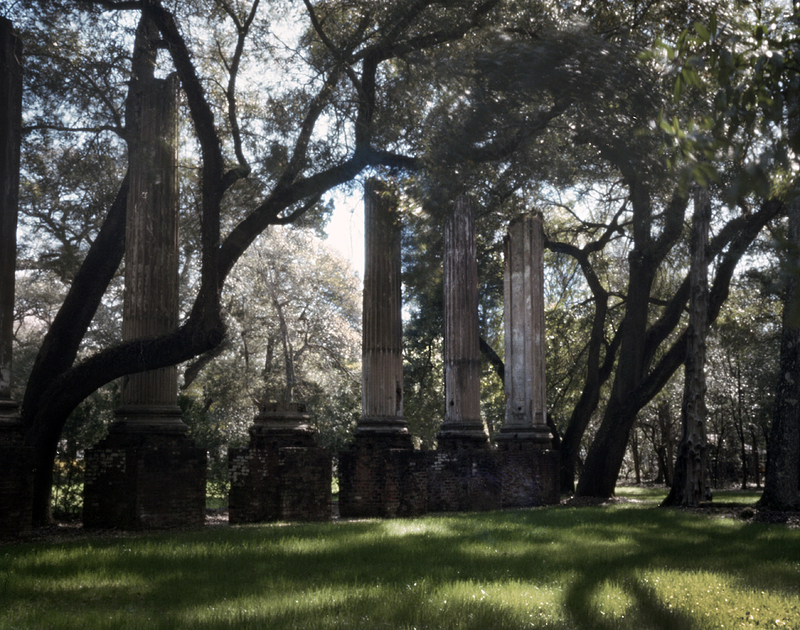 Ransacked in 1865 fees to enter the Magnolia’s gardens would go toward reconstruction. Sherman’s overall plan for the Carolina Campaign would actually be a repeat of his total war strategy practiced during the march through Georgia. Living off the land as they marched, the army would be split into two wings and use deception to confuse the Confederates as to their ultimate goal. As they moved inland the two independent wings were to feint toward the cities of Augusta and Charleston and then head straight for the South Carolina capital at Columbia. After laying waste to South Carolina Sherman planned on continuing his march into North Carolina and on into Virginia for an eventual link up with Union forces commanded by Lt. Gen. US Grant. Sherman’s march through the Carolinas would also coincide with a new effort to capture Fort Fisher on the Cape Fear River at Wilmington, North Carolina. 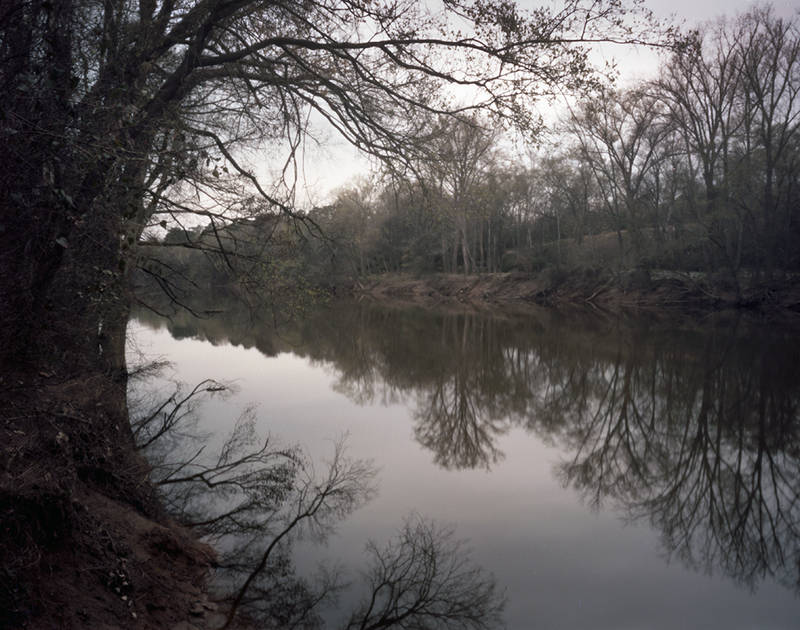 The Cape Fear River was the last navigable river still open to the Rebels in the South and if captured would seal off a vital supply source for the Confederacy. Major Gen. Alfred Terry together with Rear Admiral David Porter of the Union Navy were ordered to attempt an amphibious assault on the strategically placed coastal fort and the City of Wilmington. Terry’s Union forces, after the eventual capture of Wilmington, were to march inland to link up and support Sherman in the Carolinas. 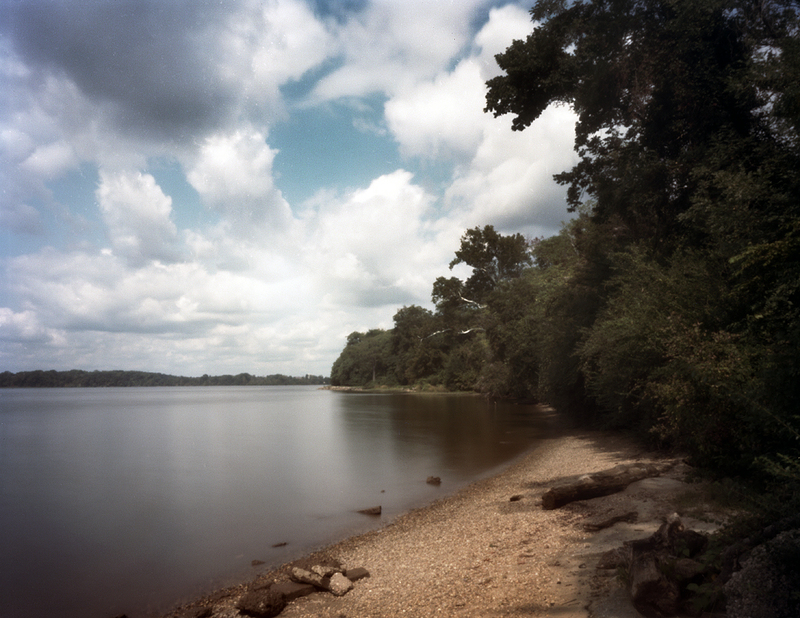 Sherman’s troops after crossing the Savannah River would be marching through the coastal lowlands of South Carolina. Sparsely populated in the mid 19th century the region was known for its enormous rice plantations and impenetrable swamps. Much of South Carolina’s wealth was based on rice cultivation and the slave labor that harvested it. The incredible wealth on display through this untouched theater of the war, seen alongside the abject poverty of the resident slave population, incensed Sherman’s troops. 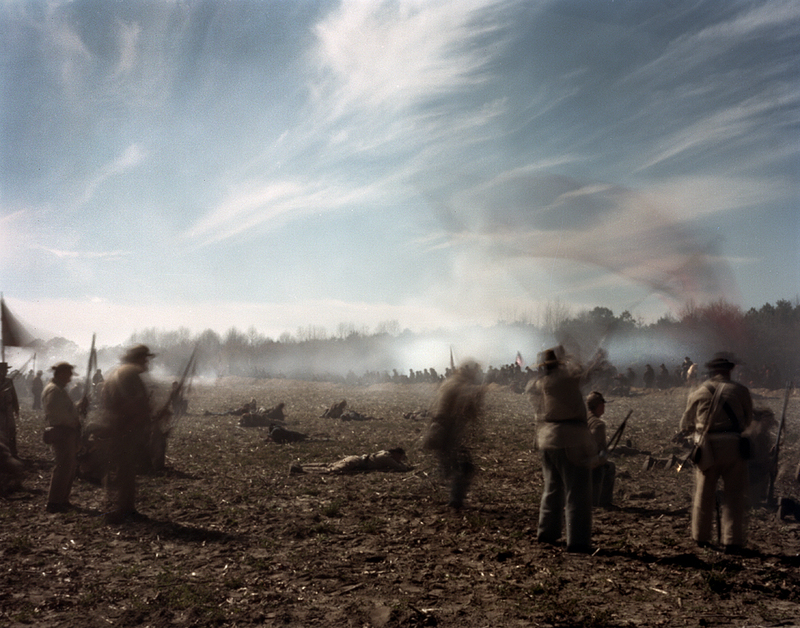 The Confederate forces operating in South Carolina were dispersed and could hardly delay Sherman advance. 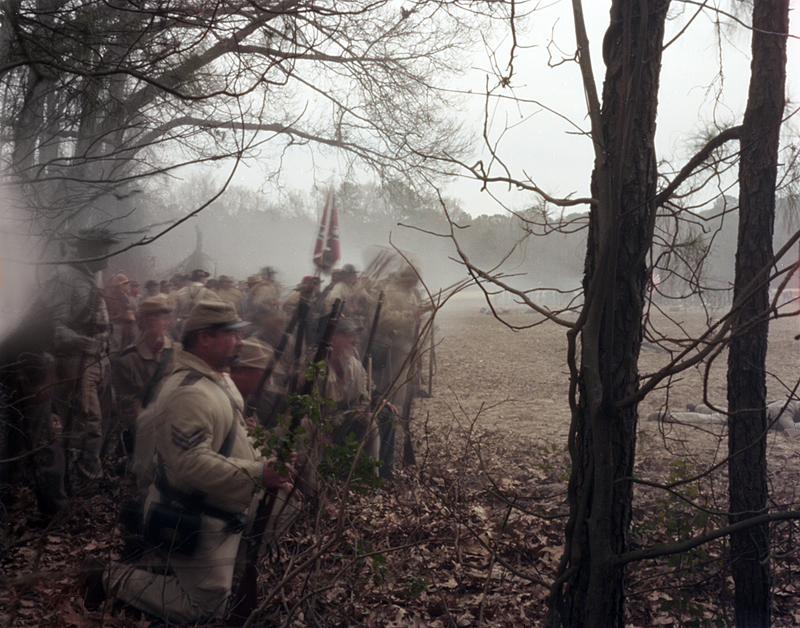 As the war entered its fourth year many in the Confederate ranks began to feel that the cause was hopeless and were deserting the Rebel armies at an alarming rate. To counter act this Jefferson Davis issued an official pardon to all deserters and a plea for all able-bodied southerners to rise up and defend the Confederacy. On February 2nd. 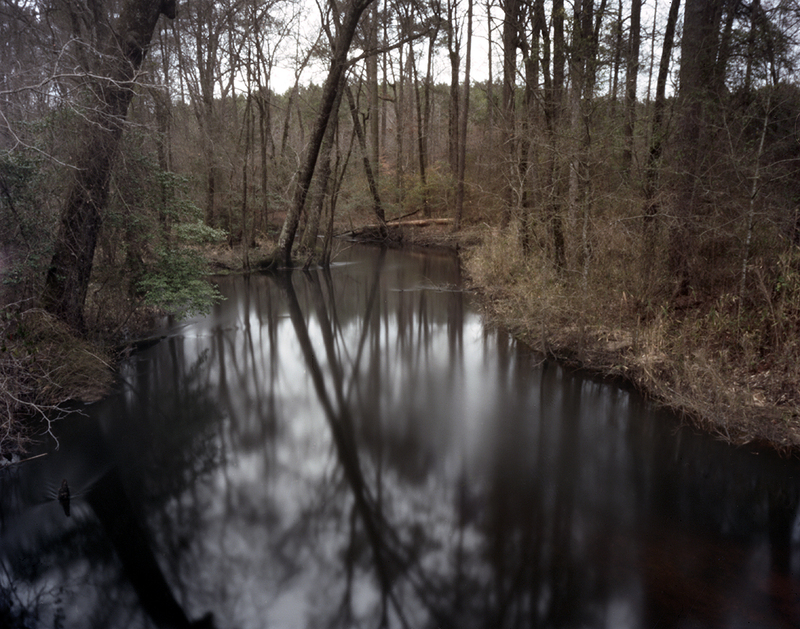 1865 Confederates troops attempted to stop one of Sherman’s wings at the Salkehatchie River near Ehrhardt, SC. 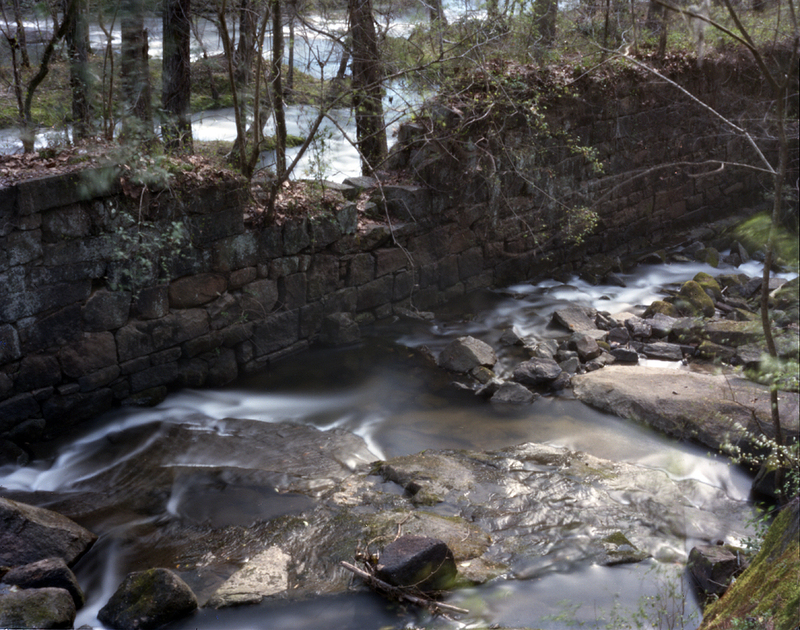 Known as the Battle of River’s Bridge, for two days Sherman’s troops were forced to wade through swamps to get at a small band of entrenched Confederates. 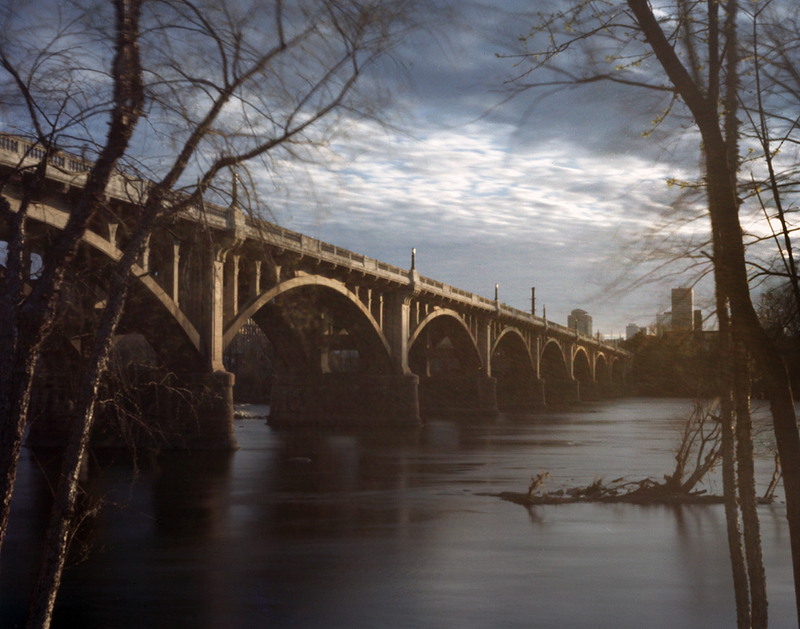 After burning the bridge the Confederate force manned the extensive earthworks constructed to defend the north side of the river. Union troops forded the river and slogged their way, rifles and cartridge boxes above their heads, chest-deep through black swamp water while under fire to get at the dug-in Confederates. The Federals sent an independent force up-river and eventually outflanked the Confederates at River’s Bridge forcing their withdrawal. 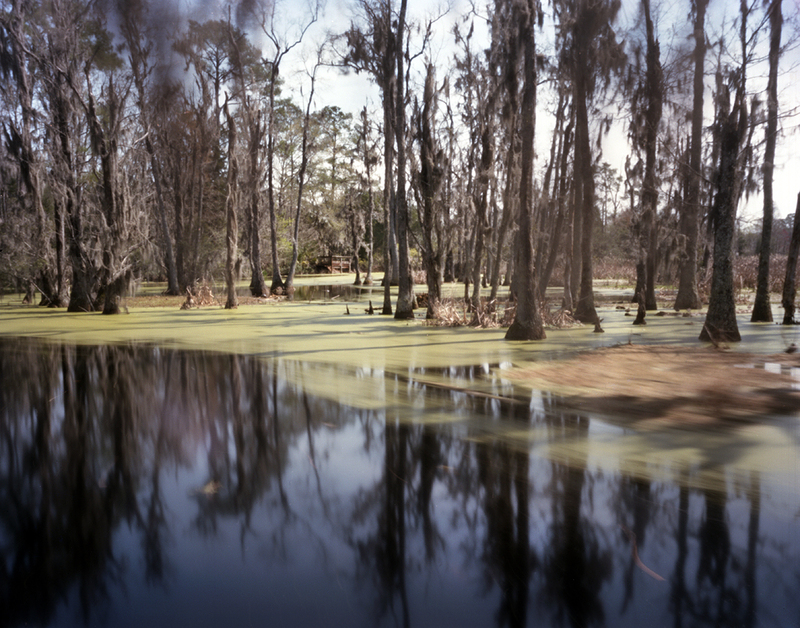 The large numbers of southerners officially requested by the Confederate authorities never really materialized…thankfully for Sherman because his troops had their hands full battling with the South Carolina swamps. 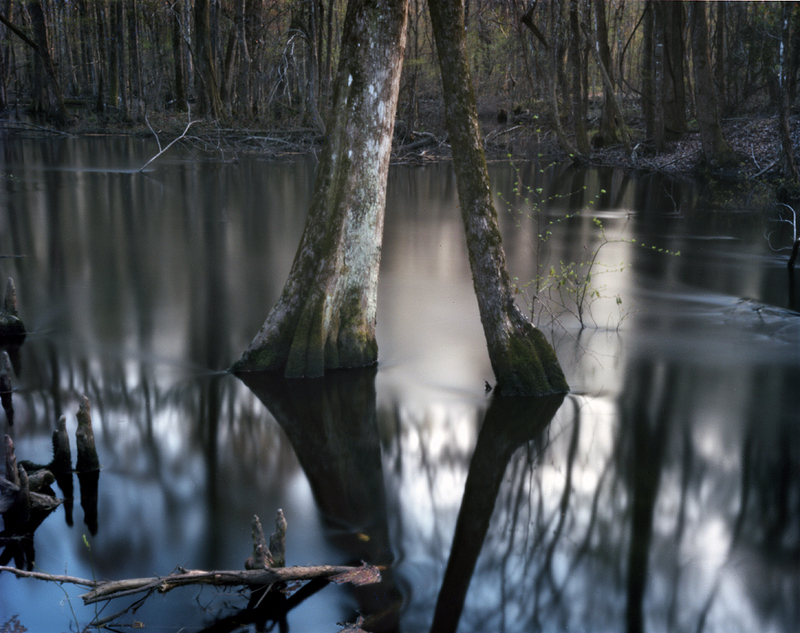 Marching through the Salkehatchie Swamps the soldiers made the best of living in foot deep water with their pickets standing duty in boats and the soldiers sleeping on tree limbs. Hiking through this terrain in 2015 I was taken aback by the extent of these swamps, their density and the soggy ground, quicksand-like under foot. 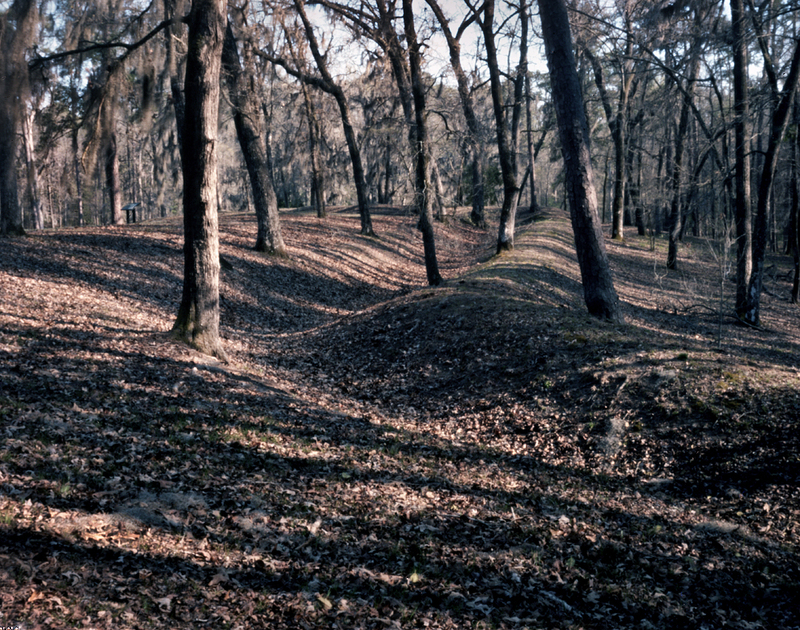 The extensive Confederate earthworks at River’s Bridge still stand one hundred yards or so from the swamp and was obviously a formable defensive position. Having to wade these swamps under fire it’s no wonder that the Federals decided to moved a force up river and eventually outflanked the Confederates here. In February of 1865 Sherman’s two wings began their approach to the South Carolina capital. Again, as they marched, it was the friction match as opposed to the rifle that was the main infantry weapon. Sherman’s feigns toward Augusta and Charleston and his quick turn toward Columbia caught the Confederates off guard. The twenty thousand or so Rebel troops in the vicinity were spread out and could not react in time to save the South Carolina capital. Actually Columbia was a small inconsequential municipality during the Civil War and so became a safe haven for monied southerners from besieged cities like Atlanta and Charleston. Sherman’s capture of the strategically unimportant southern city was designed to be a psychological blow to the Confederacy more than anything else. Bails of cotton along Columbia’s main street had been set alight by the retreating Confederates but were soon extinguished and the town captured intact. 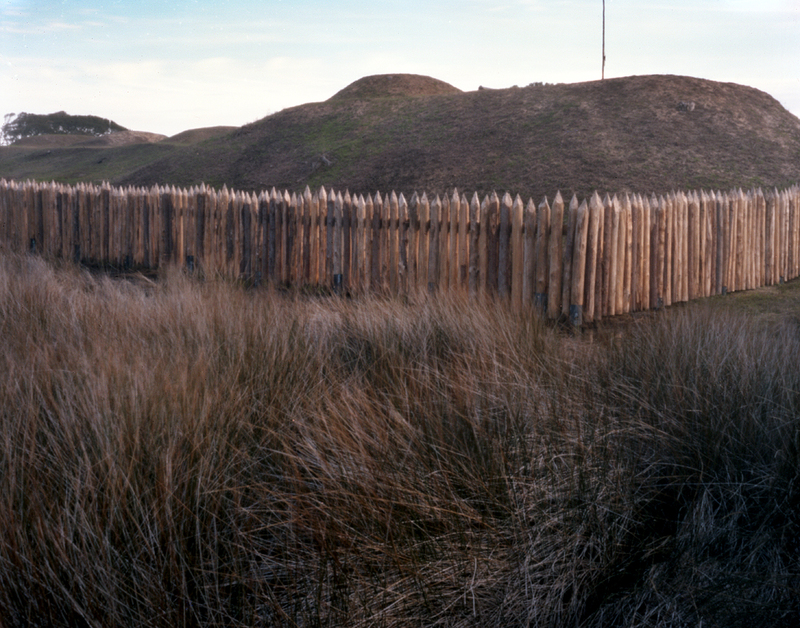 These bails would later be reignited by inebriated Federal troops bent on Columbia’s destruction. A particularly windy night helped fan the flames which eventually spread through the entire town. Symbolically, at any rate, the destruction of Columbia in the eyes of Sherman’s troops was well deserved and the South Carolina capital had finally reaped what it sown. 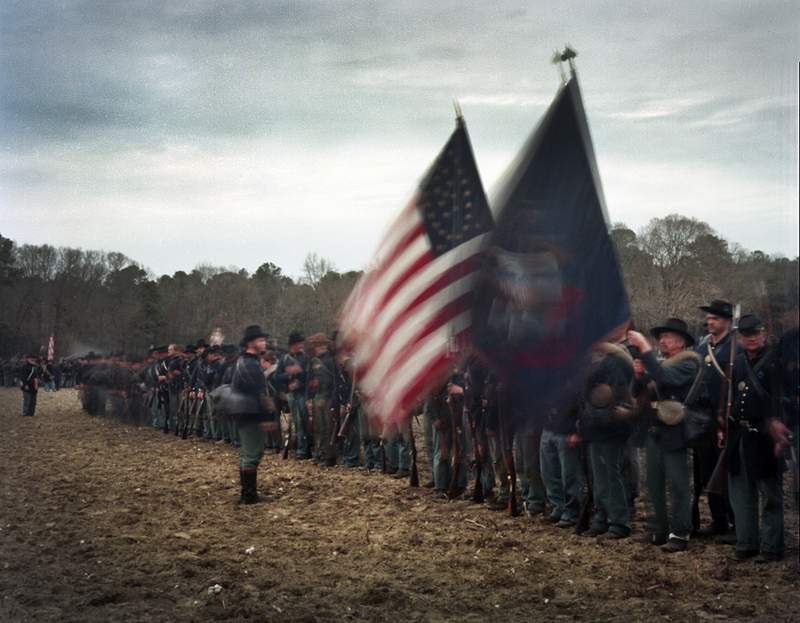 Four days later while continuing the march toward North Carolina news reached Sherman and his armies of the Fall of Fort Fisher. 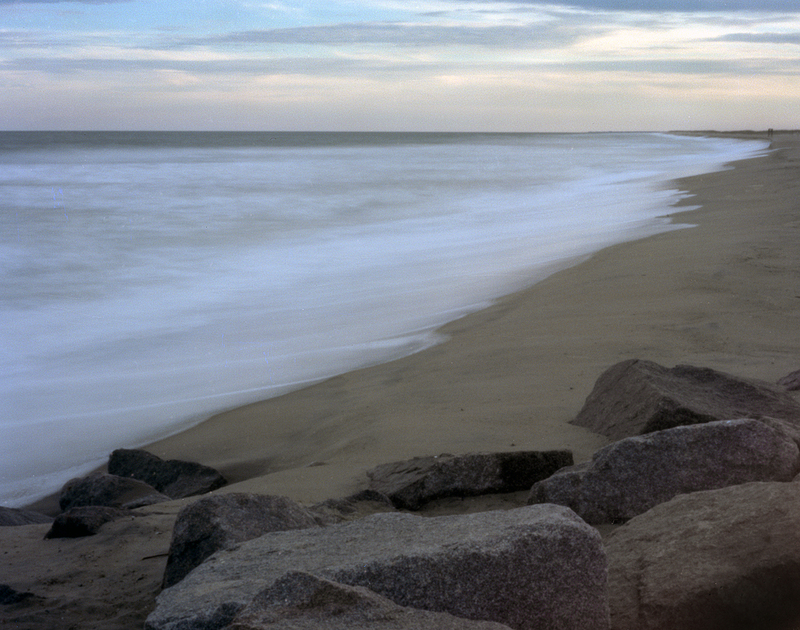 Fort Fisher on the Cape Fear River, just south of Wilmington, North Carolina, protected the last navigable river open to the Confederates in the South. 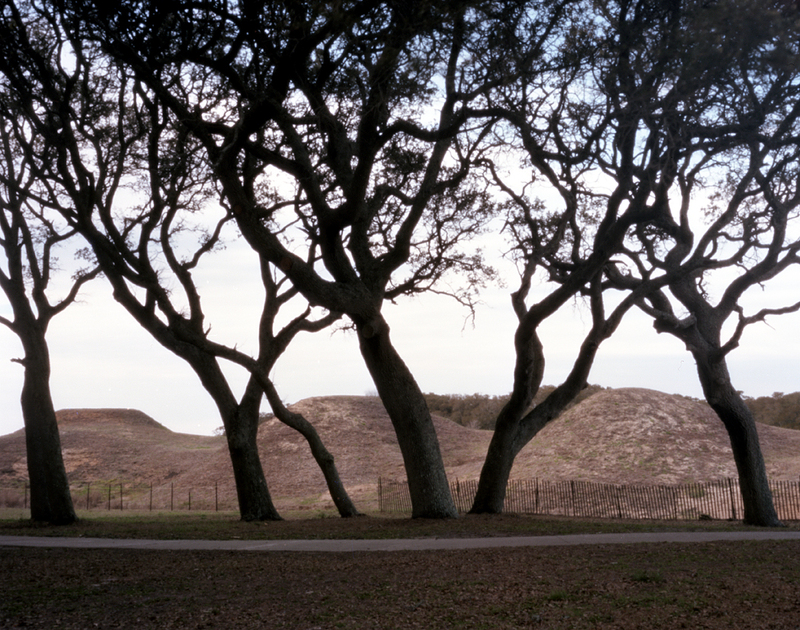 To capture Wilmington the gun-studded earthen walls of Fort Fisher would have to be breached first. As Sherman’s troops were beginning their march through the Carolinas Union naval forces together with Federal infantry were readied along the North Carolina coast for an amphibious assault designed to capture the fort and Wilmington with it. On January 12th 1865 Rear Admiral Porter and the Union Navy opened the attack on Fort Fisher. Admiral Porter would expend nearly 20,000 rounds, 1,652,638 pounds of projectiles, in his “softening up” of Fort Fisher – a new record for the amount metal thrown in a single naval engagement. After two and a half days of constant bombardment suddenly an eerie silence came over the bastion immediately broken by the sound of all the steam whistles of the fleet moaning in concert. 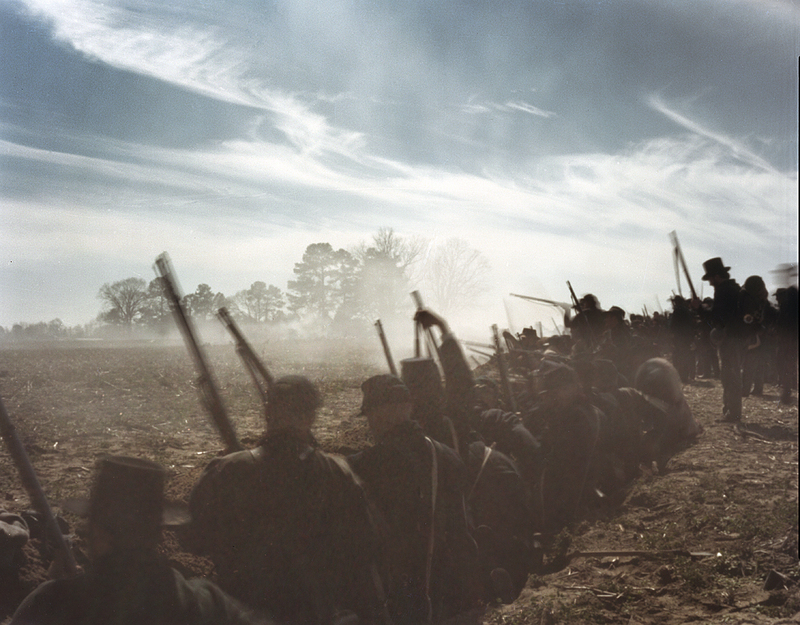 The soul-stirring blast of sound signaled the infantry assault on Fort Fisher. Peering above their shattered parapet the Confederate garrison prepared to resist the attack with the few guns still operational in the fort. Union troops eventually enveloped and in a rush stormed the battlements and came to grips with the fort’s remaining defenders. After six hours of savage, pointblank, hand-to-hand fighting, the fort’s garrison finally capitulated. Slightly over a month later on February 22nd 1865 the City of Wilmington would fall after a ten-day Union siege freeing-up, as planned, the troops under Gens. Terry and Schofield to begin their march north to meet up with Sherman. Traveling up from South Carolina into North Carolina you notice a distinct change in the landscape. Leaving the moss and vine covered landscape of South Carolina moving north the terrain elevates and rolls in a continuing series of hills. Its seems the trees are straighter, taller in North Carolina. Union soldiers mention this transformation in their memoirs as well as the attitude of the local populace. Sherman had modified his marching orders upon reaching North Carolina. Reining-in his foragers Sherman ordered that his troops treat North Carolinians with a softer hand then had been dealt her sister state. 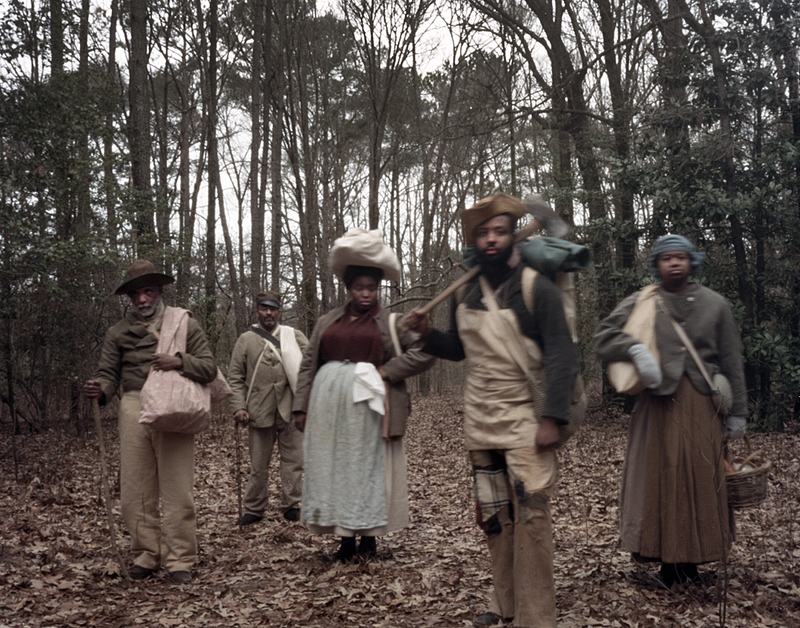 Entering Fayetteville Union soldiers noticed that the local citizenry had lined the streets and seemed interested or curious as opposed to the cold stares and outright hostility that greeted them in their recent march through South Carolina. Confederate cavalry burned river bridges in their retreat through Fayetteville Sherman simply had his engineers lay pontoon bridges and he and his army marched unopposed into the city. During the occupation, which included the destruction of the Fayetteville Arsenal, Sherman received positive word of the Fall of Wilmington when a Union steamboat paddled up the Cape Fear River and arrived at Fayetteville with the news. The Fall of Wilmington, North Carolina would mean reinforcements for Sherman and an open supply line to the sea for his campaigning troops. Confederate forces now gathering near Raleigh under Gen. Joseph Johnston, although hopelessly outnumbered, realized there was still one chance to stop the Union advance. Sherman’s force was still marching in two separate wings and the Confederates saw this as a weakness. Too weak themselves to confront Sherman’s entire force the Confederates planned on concentrating their troops against each of the wings separately in an all out effort to destroy the Union Army army piecemeal. The first real concerted effort to stop Sherman advance occurred north of Fayetteville in what became known as the Battle of Averasborough. On March 15th-16th 1865 Confederates commanded by Gen. William Hardee, although outnumbered three to one, fought a fierce back-and-forth engagement with one of Sherman’s columns and held it at bay for two days before retreating north to regroup. 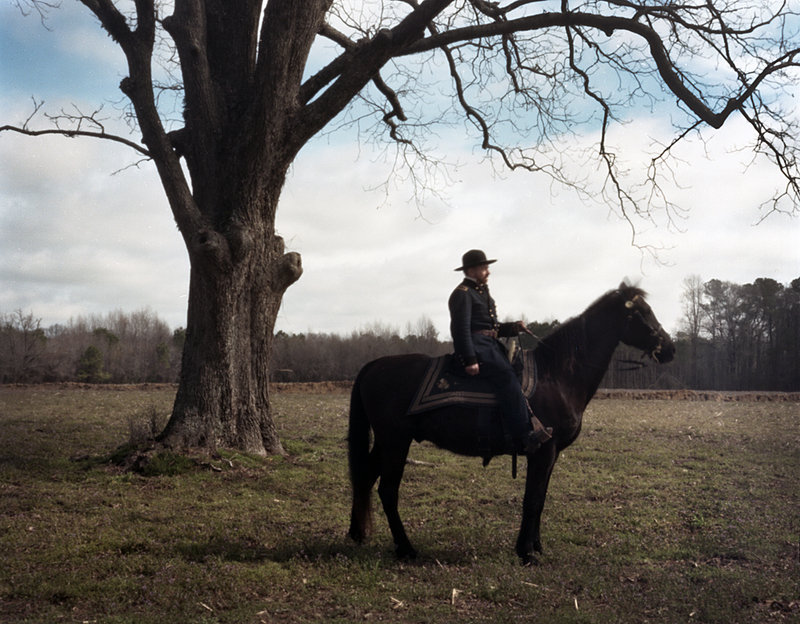 Three days later and thirty miles to the east the Confederates would make their last stand outside the small town of Bentonville, North Carolina. March 19-21st 1865, roughly one mile south of the Town of Bentonville, twenty thousand Confederate troops commanded by Joseph Johnston confronted Sherman’s left wing in what would be the last Confederate offensive in the western theater of the Civil War. 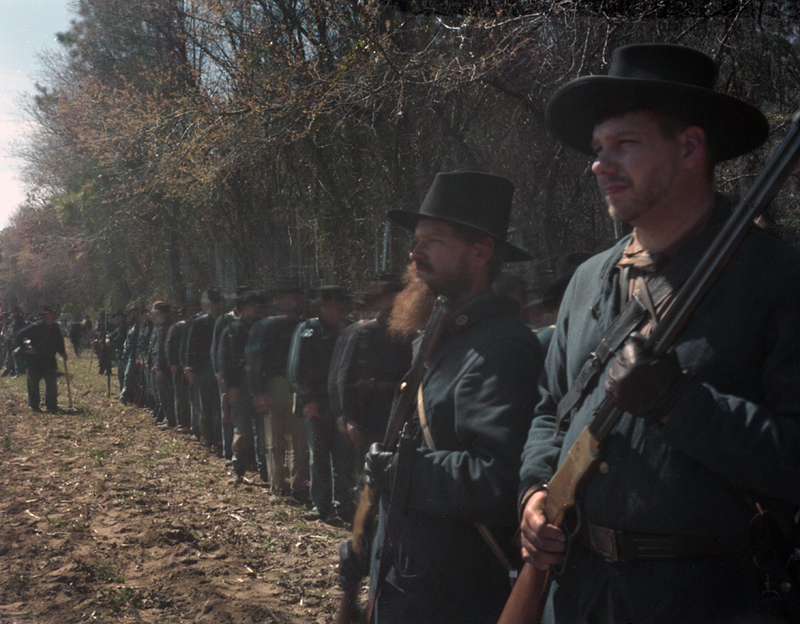 Reenactors from around the country gathered at Bentonville, North Carolina in mid March 2015 for the 150th anniversary reenactment of one of the last battles of the Civil War. 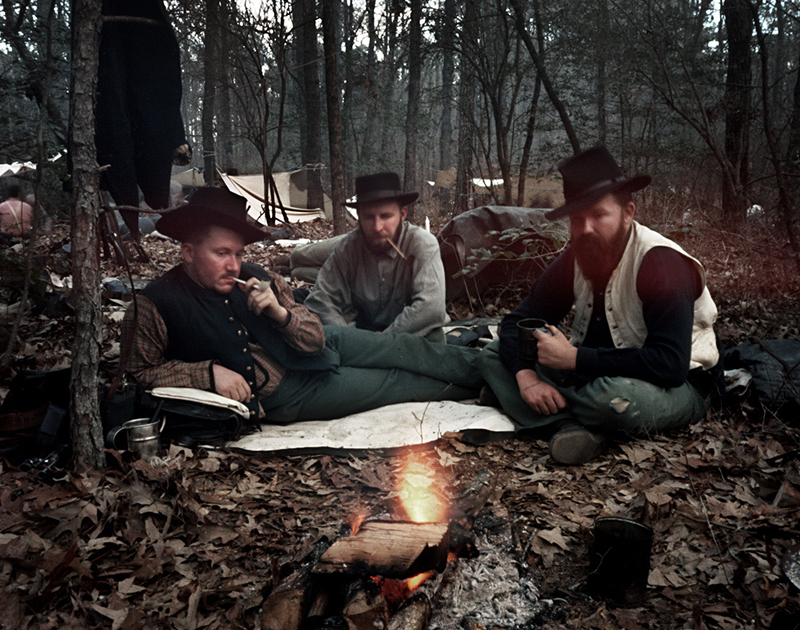 Administered by the North Carolina Department of Cultural Resources the 1865 Battlefield at Bentonville would again be shrouded in gun smoke as the reenactors commemorated this final battle in the west. In 1865 Union troops led by Maj. Gen. H.W. Slocum were vigorously attacked at Bentonville and driven back. For the first time in the campaign Union troops were outnumbered by the Confederates and desperately fought back numerous assaults. Gen. Slocum, initially believing he only confronted a small Rebel force, soon realized his troops were in trouble and summoned Sherman for help. Confederates retreated across Mill Creek toward Raleigh after the Battle of Bentonville. Sherman was marching with Maj. Gen. O.O. Howard’s right wing column proceeding toward Goldsboro when he got the news. Swinging the column around Sherman marches with the reinforcements toward Bentonville and arrives to overwhelm the Confederates. Gen. Joseph Johnston on the evening of March 21st quietly retreats with what remains of his army across Mill Creek leaving a rearguard to protect his withdrawal. 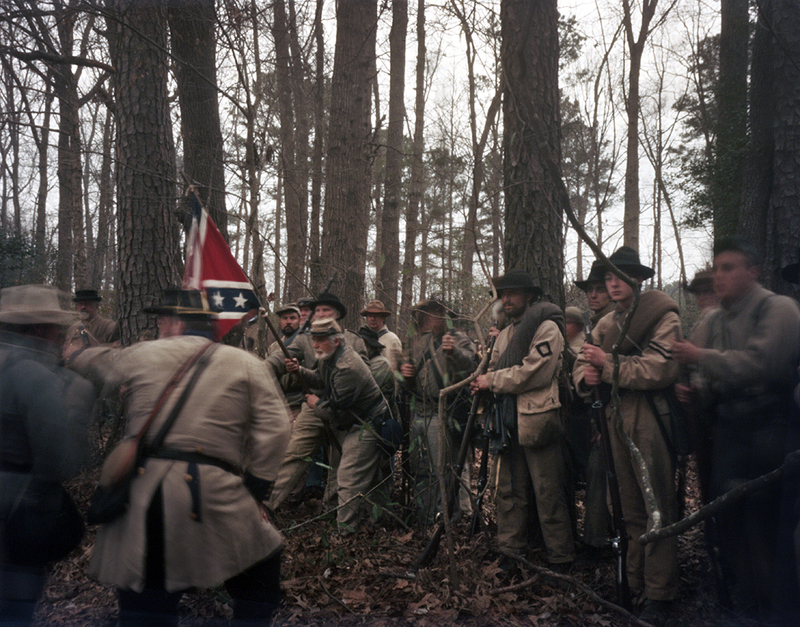 Sherman now convinced the Confederates have no army to stop him continues his march towards Goldsboro to link up with Gen. Schofield’s army marching up from Wilmington. These Union reinforcements would bolster Sherman’s Army and join him on his planned march into Virginia. Sherman’s link-up with Grant’s forces around Petersburg would put the nail in the coffin for the Confederacy. 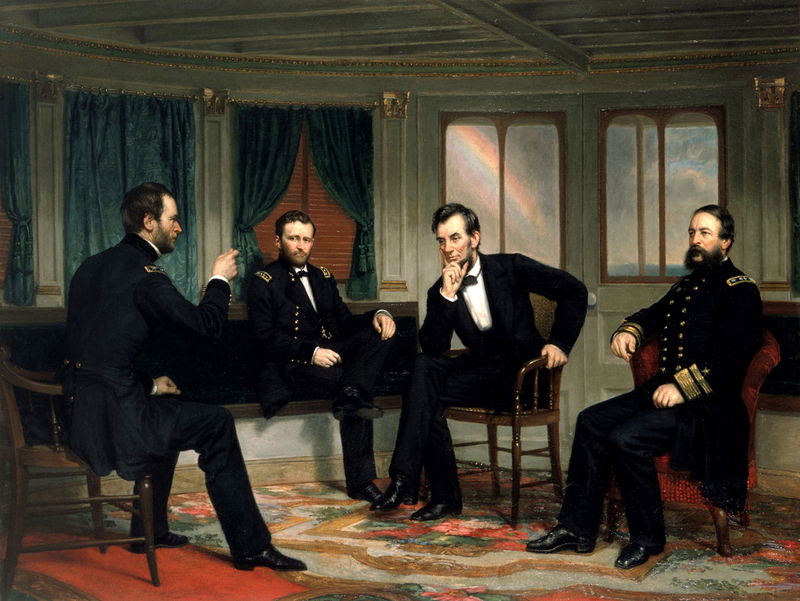 While resting and refitting his army at Goldsboro Sherman receives word from US Grant about a visit by President Lincoln to the Union commanders’ headquarters at City Point, Virginia. Writing, “EVERYTHING LOOKS LIKE DISSOLUTION in the South”, Grant invites Sherman to take part in a conference with the President that would ultimately determine not only the end of the war but the future of a United States of America. The now famous conference that occurred at City Point aboard the steamboat River Queen on March 27th-28th 1865 was recorded at the time by Rear Admiral David Porter. Admiral Porter was one of four present at to the two-day conference where Lincoln discussed with Grant and Sherman his views on ending the war and reconstruction. 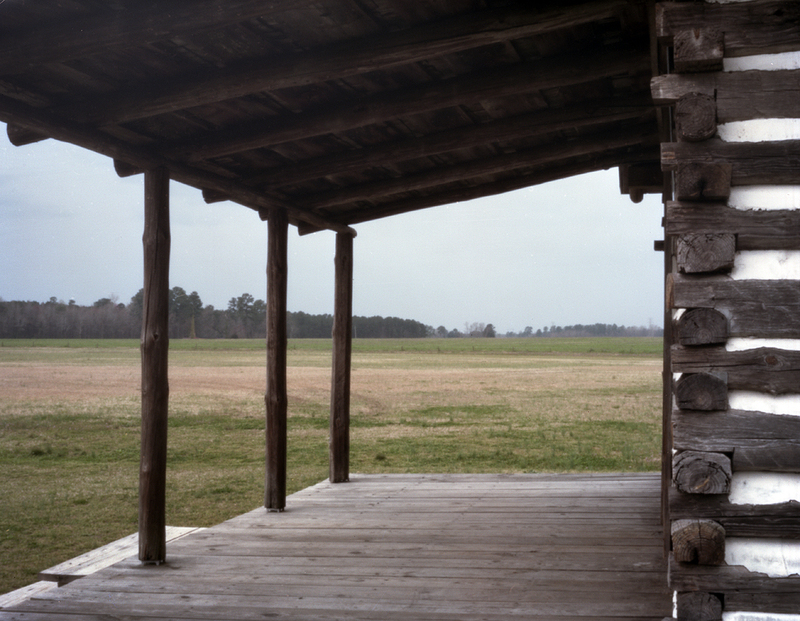 Grant’s greatest fear at the time was the prospect that Lee would sneak away from Petersburg and join his forces with Gen. Joe Johnson’s troops in North Carolina. 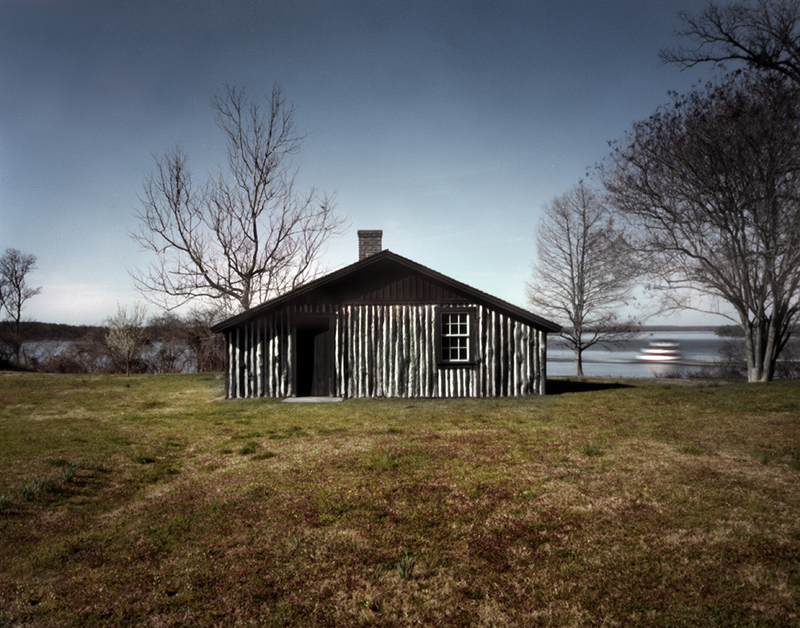 In 1864-65 City Point, Virginia was the base of Union supplies during the Civil War and was the largest military depot in the world. 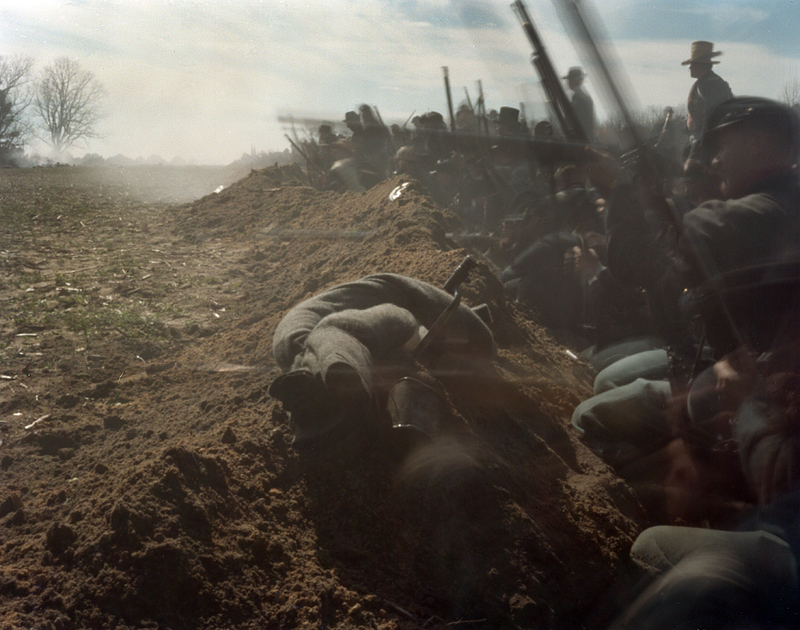 To prevent this Grant would launch his spring offensive at Petersburg before Lee could escape. 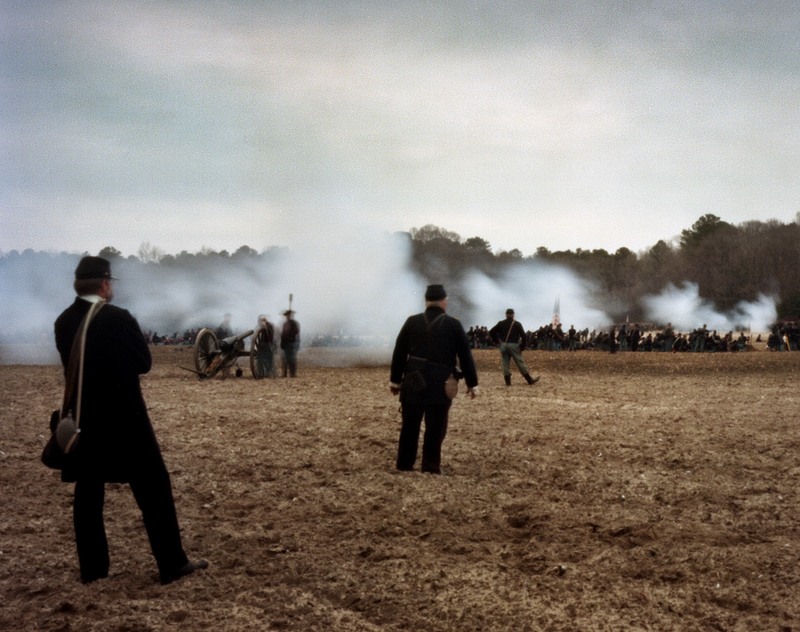 The Battle of Five Forks on April 1st 1865 would finally break the Confederate hold on Petersburg. The Confederate capital at Richmond is abandoned and Robert E. Lee and what remains of the Army of Northern Virginia retreat west in a desperate effort to escape Grant’s pursuing army. William Tecumseh Sherman would return to North Carolina and planned on resuming his march for the eventual link up with Grant in Virginia. Over the next weeks, the Sherman, Grant and the Federal armies would preside over the last death struggles of the Confederacy. Thank you Michael for another fine posting with beautiful photographs and incisive writing.